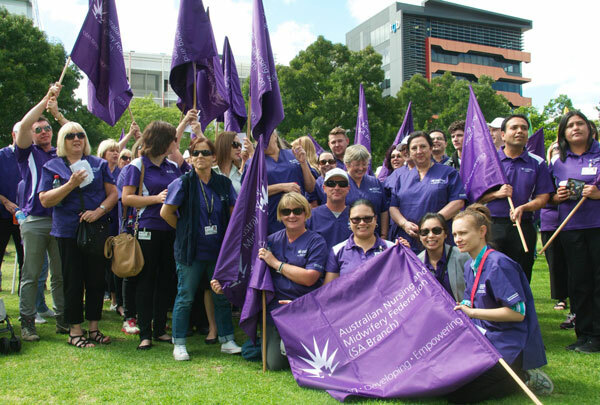 The country’s largest union, the Australian Nursing and Midwifery Federation (ANMF), is calling on the Aged Care Minister to stop a national aged care provider from carrying out wide-ranging nursing cuts and underpaying other workers at its aged care facilities. In Queensland alone, Southern Cross Care is proposing to slash more than 1,500 hours of care per fortnight at four of its nursing homes, whilst in Tasmania qualified carers enterprise agreement hourly rates are $20.83 which are under the Award. “This means fewer and fewer care staff will be employed, or they’ll have their work hours dramatically reduced, resulting in a compromised level of care for residents,” Thomas said. A separate report shows the number of deaths in nursing homes from preventable causes has increased by 400 percent over the past 13 years; a Senate Inquiry found current nurse ratios were “too low and risked compromising the quality of care delivered” and there’s increasing episodes of missed care, abuse and neglect of the elderly due to inadequate staffing. “But Southern Cross don’t seem to care,” said Thomas. “It’s staggering that despite all of this alarming evidence about decreasing care standards and dangerously high workloads for aged care staff, we now have a national aged care provider slashing and burning over 1,500 crucial care hours, along with operational and hospitality staff. As a not for profit organisation which has ‘core values of care’ it must surely put its people first.